Debian is a FREE open source operating system based on Linux which is very popular among Linux and commercial users. Many other Linux versions are available based on Debian. With our dedicated KVM Debian VPS servers, you will get the advantage of its reliability and stability. Build and deploy your VPS for only $4.95 now! Would you like to see our pricing plans? How does Debian VPS works? The question most people would like to know is how the Debian VPS server works. Our Linux VPS hosting provides an enterprise-class hosting at a very affordable and reasonable price. The KVM containers engine powers our VPS packages and have the ability to provide multiple secure and isolated VPS packages from a single Linux server. This solution has greatly improved the efficiency of hosting and has eliminated the need to have multiple servers for dedicated hosting which has greatly reduced the cost of hosting. The Debian VPS plans are starts from $4.95 per month which comes with Dedicated KVM resources. With our powerful control panel, It has VNC enabled. 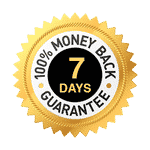 We have 7 days Risk-FREE Money Back Guaranteed. Buy a Debian VPS server in more than 7 different locations worldwide in a matter of minutes. Why waiting? Build and deploy your VPS for only $4.95 now!